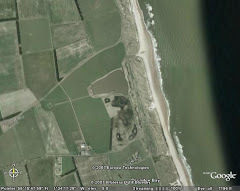 A couple of days of work as given rise to the opportunity to do some ringing at Druridge. There were a lot of warblers around the bushes on Sunday, but on a clear night, they all left, leaving the bushes very quiet indeed on Monday morning. 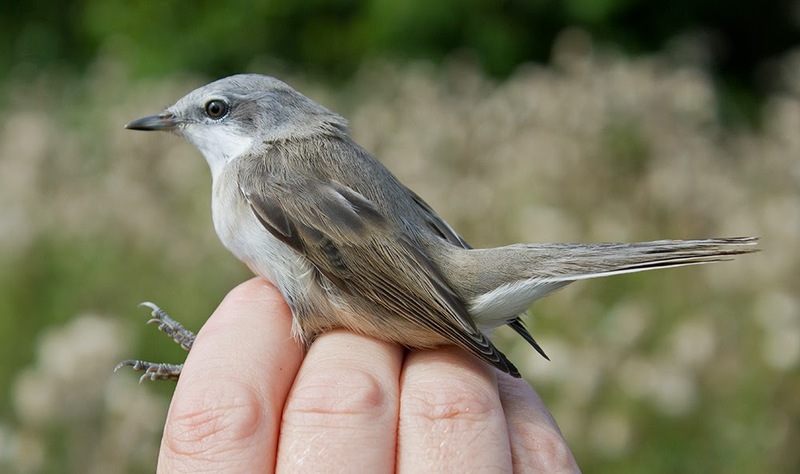 We only ringed 15 birds and the only warblers were three blackcaps. Yesterday, I tried a bit of viz-migging from the big dune, but there wasn't much of migging going on. Of note were at least eight ruff on the silage fields and 13 black-tailed godwit that lifted off the Budge fields and flew north. House martins and sand martins are few now, but there are still plenty of swallows. I had a similarly unspectacular seawatch yesterday evening seeing only one Manx shearwater and one Arctic skua of note in an hour. Today's ringing session was a little more worthwhile, but given the time of year, the bushes were still very quiet, any migrants must have overshot Druridge on a clear and calm night. James Common (aka Tintin) joined me and we caught 20 new birds. On the warbler front were six blackcaps, one wood warbler (new for the patch), one chiffchaff and one lesser whitethroat. 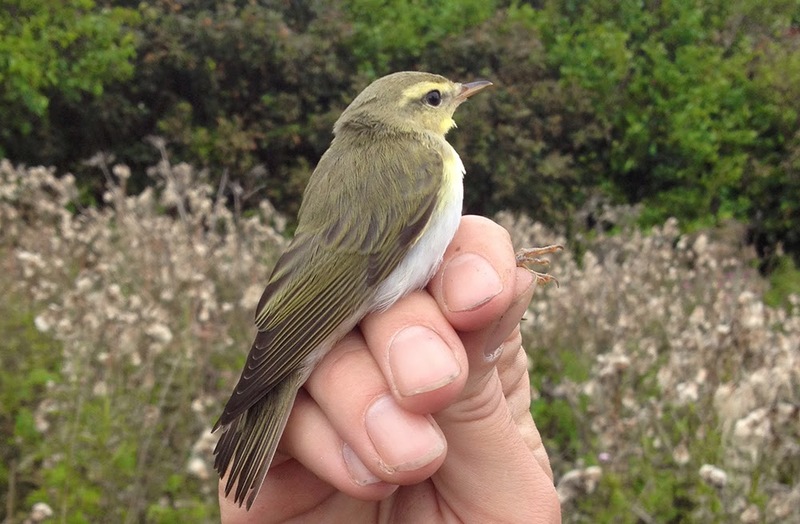 Wood Warbler. Very unexpected. Not the best photo - taken with the iPhone. The swallow chicks have departed the little hide. There are two chicks left in the last nest in the Oddie hide, they should fledge in nine days or so for a later trip down to Africa. Nice write up. Many thanks.